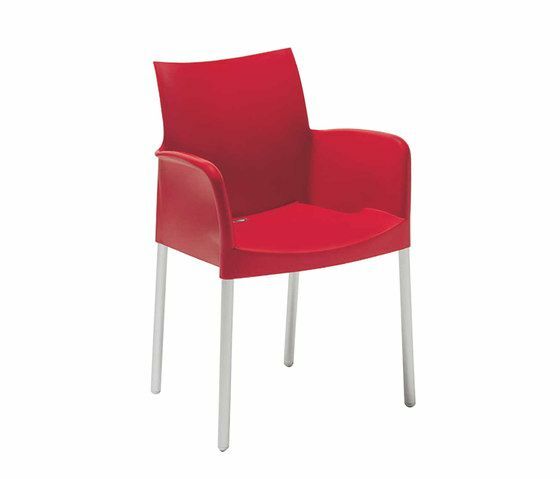 Comfortable and ergonomic, armchair Ice is made of resistant materials : polypropylene shell and anodized aluminium legs diam. mm 28. Thanks to the strong materials used it is suitable for outdoor use.